This shot was taken as they purged the boiler. 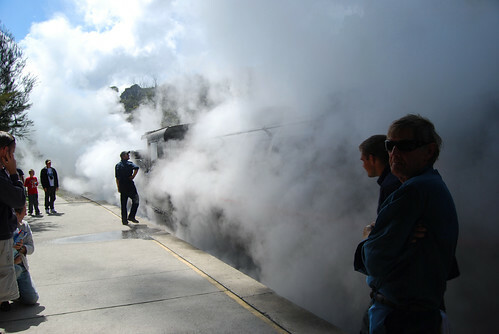 When my 11 year old was little one of his favourite videos was Steam Across the Mountains which was about the Zig Zag Railway, it was on high rotation for several years. We did a few trips up for rides on the steam trains but eventually he moved on to other obsessions.